On July 15, 2006, President Bush designated the 1,400 mile-long Northwestern Hawaiian Islands as a national monument, making this sanctuary the largest protected marine sanctuary in the world! Planet Earth is a water planet. Earth's ocean is one great connected body of water that covers more than 70% of the planet's surface and contains 97% of all water on the Earth. Most of the rest of the water is frozen in glaciers and icecaps, and the remainder is in the atmosphere, underground, and in streams, rivers and lakes. We could not live without water. Every natural element can be found in the ocean. Approximately 3½% of ocean water is made up of salts, most of which is the same as our ordinary table salt. The salts come from the wearing away of rocks, from underwater springs and from material that explodes from volcanoes and falls from the atmosphere. As water evaporates from the ocean, salts are left. Then precipitation (rain) returns fresh water to the ocean. At the equator there is a greater amount of fresh rainwater than there is evaporation from the ocean; therefore, the ocean water is less salty at the equator. Ocean water is also less salty where fresh water from rivers enters the ocean. The ocean provides foods from plants and animals, energy, transportation, medicine, minerals and natural resources, many products, weather systems, climate, rainfall from ocean evaporation, tidal power, and oxygen. The ocean...is the memory of the global climate system and the key to climate variability (NOAA report on Earth Observation Summit 2004). The ocean and the atmosphere interact upon each other, creating a "weather machine" which affects climates and global weather. Far more heat/energy is stored in the ocean than in the atmosphere. Ocean currents help to balance and distribute this heat/energy around the planet and regulate temperatures. Ocean currents are like giant rivers. They move both horizontally and vertically. Surface circulation is regulated by winds and the rotation of Earth, and deeper circulation (thermohaline circulation) is a function of density differences in water masses. The colder, saltier waters in polar regions are heavier and sink to the bottom, and the warmer waters near the equator are less salty and heavy and gradually flow toward the surface. Thermal energy from solar heat and the ocean currents can be converted to electricity and could be utilized as an important alternate source of energy. Once a water mass sinks below the surface of the ocean, it can no longer interact with the atmosphere. The oxygen contained in the water mass very slowly dissolves or is used in the oxidization of dead organic matter. 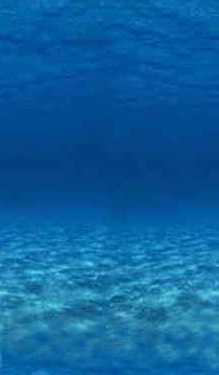 Oceanographers can estimate the length of time the water mass has been away from the surface by analyzing the oxygen content. Through the process, the "oldest" water found has been in the deep North Pacific region, estimated to be 1,500 years old! There is incredible biodiversity of life in the ocean; in fact, more plant and animal life is found in the ocean than on land. Nearly half the Earth's major animal groups live only in the sea. Marine plants and plantlike organisms are found where sunlight can penetrate the water for photosynthesis to occur, so they are nearer the surface. There are great underwater forests of Giant Kelp and vast coral reef ecosystems in the ocean which a tremendous amount of species depend upon for habitat and food sources. Oceans and marine life consume huge amounts of carbon dioxide, and more oxygen is produced and released through oceanic photosynthesis than by all the earth's terrestrial (land) plants and forests combined. As the waters of the ocean are in constant movement, this promotes a whole complex food cycle as various nutrients are carried by currents and cycled through the water. Bits and pieces of organisms and matter rain down through the water as they sink to the bottom. As they move through the water, living organisms and animals consume them. Many nutrients that reach the bottom are consumed by the bottom dwellers. In the deepest depths of the ocean and in trenches, there are many creatures we haven't discovered yet. In certain areas of the ocean, upwelling occurs where the colder, deeper waters full of nutrients are carried upwards. These areas support a great abundance of life. About 13,000 different species of fish live in the ocean. Some marine mammals live their whole lives in the ocean (such as whales and porpoises) and others can spend time in the ocean or on land (such as sea lions and seals). Did you know that the polar bear is considered to be a marine mammal? 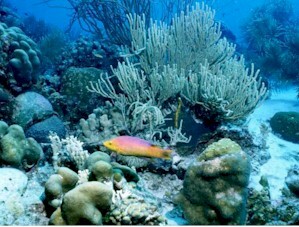 Most of the sea animals live in the surface waters where there is an abundance of food. But there are some very unique lifeforms in the deepest parts of the ocean. Sunlight cannot penetrate deep into the ocean, so some of the animals don't have eyes. They have developed other senses to help them find their way around and to enable them to obtain food. Although there is no sunlight in the deep ocean, there is a source of light. It is called bioluminescence and this is caused by chemical reactions within certain organisms. Other unusual life in the deepest parts of the ocean have recently been discovered, existing and flourishing around deep ocean vents which emit heat from within the planet at temperatures we believed would kill all living organisms. Humans have caused great damage to the oceans ecosystems and inhabitants. Many areas have been severely polluted, especially from industrial wastes and sewage near coasts, and oil spills and dumping of wastes in the ocean. Recent studies have shown that excessive carbon in the atmosphere from the burning of fossil fuels has dramatically increased the acidity of the Earth's oceans. This ocean acidification is threatening the oceans' ecosystems, sea creatures and their food supplies. Also, the continued depletion of the Ozone Layer in the upper atmosphere could lead to a dramatic decline in the growth of the world's oceanic Plankton, which is the basis of most marine food chains. In addition, humans have overfished certain species to the point of endangering the survival of those species. Harmful fishing methods and mining practices continue to destroy underwater ecosystems. The living ocean has been the for planet Earth for over 3 billion years. We are just beginning to understand our ocean, its processes, and life within it. We do know that, without the ocean there could be no life on Earth. Learn about all the great things that happened in 2005 to help improve the health of the ocean. Download World Ocean Day 2006 materials and resources for this year's celebration from The Ocean Project site. Tell The Ocean Project what plans you have for World Ocean Day. You don't have to live by the ocean to celebrate World Ocean Day. You can participate in activities that relate to the ocean. Suggestions for activities are provided on the site. Get your school and community involved. Click on Ocean Resource Center for links to lots of helps and information. The ocean is comprised of vast "dynamic biomes that are among the richest and most productive ecosystems on Earth." As we continue to degrade the health of the ocean and marine habitat, we risk extinction of species and destruction of the functions and life-sustaining processes of Earth's natural systems. The Ocean Alliance is dedicated to the conservation of whales and their ocean environment through research and education. Find out more about whales on our Whales page. Marine scientists answer questions on marine invertebrates (which have no spinal column; such as jellyfish, worms, shrimp, octopus, etc.) and vertebrates (which have a spinal column; such as fishes, mammals, reptiles and birds). Scientists explain what marine biologists do, and answer questions on marine ecology, oceanography, hydrothermal vents and deep sea animals, biodiversity and marine pollution. The Sustainable Seas Expeditions is a 5-year project which will focus on the 12 marine sanctuaries designated and protected by the United States government, in an underwater exploration study to understand the ocean and its diverse ecosystems. Dive in and take the "Virtual Tour" of the Monterey Bay National Marine Sanctuary - the largest protected marine area in the world. You won't need your wetsuit to explore the undersea life on this tour. Click on "Inside: Kelp Forest" (use the arrows to read information), click on Launch Deepworker and descend to the ocean floor in a one-person submarine (arrow down to descend). "Inside: Gallery." Learn about the seaweeds, invertebrates, fishes, birds, and mammals in the sanctuaries. "Marine Sanctuaries" offers descriptions for the first 4 of the 12 sanctuaries to be visited by the expeditions: Channel Islands, Cordell Bank, Gulf of the Farallones, and Monterey Bay. In "National Marine Sanctuaries Photo Gallery" you will see sights generally only experienced by advanced divers. "Only about 10 percent of the ocean floor has been comprehensively mapped using modern sonar. There is still much to discover beneath the world's oceans, which cover 140 million square miles, or 72 percent of the Earth's surface." Experience expeditions of Scripps' voyages of discovery as they take sonar readings and create breathtaking computer images of towering seamounts, deep canyons and wide plains. "It's a geologist's paradise down there"
The information on our Human Impact page will continually change, just as our impact on our ocean ecosystems changes. when in fact they comprise a living breathing organism that makes all life on this planet possible." Learn about marine ecosystem and species protection. Read about sealife that die each year due to entanglement in plastic debris. How green is your school? - get an environmental report card. Find out where you can participate in a water cleanup activity. Scroll through their site map to find information, facts, photos, learning activities and educational resources. Research programs, education web, ecosystems, online library, resource links, search function. "NOAA's Mission is to describe and predict changes in the Earth's environment, and conserve and wisely manage the Nation's coastal and marine resources." Types described: Beam trawl, Demersal otter trawl, Multi-rig trawl, Dive-caught, Dredging, Drift net, Fish attraction devices, Fish farming, Gill or fixed nets, Handline, Jigging, Trolling, Hand-gathering / picking / collection, Harpoon, Hydraulic dredges, Industrial fishing, Long-lining, Pelagic trawl, Pole and line, Pots / creels, Purse seining, Seine netting, Trap / nets, Use of explosives or poisons. M and M candy, read about visible light in the ocean, and click on each of the 4 M and M's (red, yellow, green, blue) and see what happens. Learn about light, sound, biology, rocks, volcanic eruptions, latitude/longitude and sonar. Imagine the immense biodiversity of life in the oceans, and all the species that have not been discovered yet. Look at a globe or world map and see how much of our Earth is covered by oceans. Click on subjects in the list in the frame on the left side of the page. OCEANLINK - Marine science information. Ask a Marine Scientist has lots of questions already answered for you. In OceanInfo, understanding tides is made easy with some great graphics. Interesting facts can also be found in Records (biggest, smallest, fastest, deepest). THE MARINE MAMMAL CENTER - Conservation of marine mammals and ocean habitat. The Marine Mammal Center rescues hundreds of injured, sick and orphaned marine mammals every year along 600 miles of northern and central California coastline. The Center uniquely combines its rehabilitation program with scientific discovery and education programs. Scientists voyage to hydrothermal vents deep in the ocean to study these bizarre ecosystems and discover things which could benefit humanity. Learn why water 750°F does not boil (Seafloor Geology). 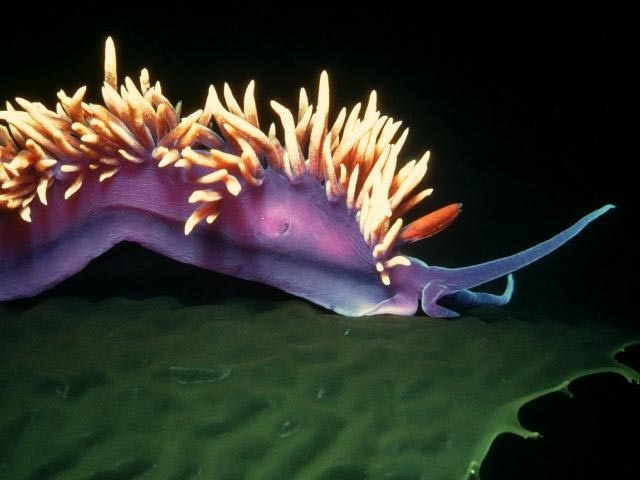 See the most heat-tolerant animal on Earth (Creature Features). Read about chemosynthesis (Toxic Chemistry). The biggest one ever measured was roughly the size of New Jersey! Click on Questions at top for information on frequently asked questions. Links below provide information on coral, fish, invertebrates, marine mammals, red tide, seagrasses, and sea turtles. OUR UNDERSEA YELLOWSTONES - Should Wilderness Protection Stop at Land's End? SEAMOUNTS - Conical shaped mountains under the sea, known as hotspots. The Hawaiian Islands were formed from a hotspot. Learn more about them and the strange diversity of sealife found around ancient extinct volcanos. SEAWEB - Advancing ocean protection and conservation. Earth is a water planet. Click on U.S. map to find links to a sea of resources. check into how you can help in your community's cleanup efforts. Cleaning up our own environment helps clean up the global environment! Remember: Always use caution and good sense when around water. SURFLINE - Gettin' wet on the net. Surf reports, forecasts and live cams around the world. Lists of fish that generally come from environmentally sound sources, and fish that you should avoid purchasing. SEAFOOD GUIDE - California Academy of Sciences suggests ways you can help conserve the ocean's resources through sensible seafood choices. Includes lots of facts about harmful fishing, overfishing, fishstock depletion, industry practices, fish to avoid, and fish you should choose. Click here to see someone that needs to go to Fish Overeaters Anonymous! Resource links to learn all about whales. What are some differences between dolphins and porpoises? Usually have a hooked or curved dorsal fin. (some do not have a dorsal fin) Usually have a triangle-shaped dorsal fin. 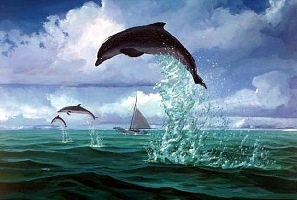 Whales, dolphins and porpoises are in the same scientific group, Cetacea. "Most of the marine animals we're familiar with live in the upper 650 feet of the ocean's surface. Between 650 and 6500 feet lies the mesopelagic zone, one of the least-known environments on Earth. Here, the waters are dark, the water pressure extreme, and many of the animals utterly bizarre. " The mesopelagic zone is considered the "midwater" range. Remotely operated submersible vehicles are used to explore these dark waters as the water pressure is too extreme for humans in SCUBA gear. Sunlight never reaches the deepest depths of the ocean where super hot vents spew out caustic gases from within the Earth. What could possibly survive down here? Please keep coastal waters and water ecosystems clean!